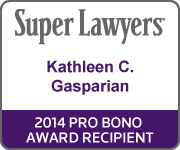 In 2014, Kathleen Gasparian founded PB&J: Pro Bono & Juveniles to recruit, train, and mentor attorneys to represent immigrant children seeking refuge in the United States. The first CLE, focused on Special Immigrant Juvenile Status, was held in September of 2014. The program was astounding, and trained more than a hundred attorneys in family and immigration law, and placed more than sixty children with representation. With the continued growth of PB & J over these past months, The New Orleans Pro Bono Project, with its ability to recruit from its large volunteer panel and to manage a program of this size, has formally taken over the administration. Ms. Gasparian continues to actively participate in the program recruiting and training attorneys and interpreters, and promoting the program. PB&J: Pro Bono & Juveniles and the New Orleans Pro Bono Project invite you to a FREE CLE “Special Immigrant Juvenile Status – a Focus on Louisiana”. Held on May 28, 2015 from 2:00 to 5:00 at the US District Court, Eastern District of Louisiana, Rm C455, at 500 Poydras St.
Last year, a large number of children from Central America sought refuge in Louisiana. These children are now in removal proceedings and fighting to remain here. These cases are ongoing and challenging. It is estimated that at least 80% of these children are unrepresented. However, competent representation greatly increases their chances of remaining safe in the United States. We are grateful to all of the Louisiana attorneys who have volunteered to handle these matters pro bono. It is impossible to measure the impact you have had on these young lives and our community. Thank you. There are many children who are still in need. Many of those children qualify for Special Immigrant Juvenile Status. These are children who have been abused, neglected, or abandoned by their caregivers, and it is not in their best interest to return to their home country. The free three hour CLE will train attorneys how to take on a SIJS case, and all participants will leave with useful resources and forms. The highlight of the CLE will be a roundtable discussion with Louisiana practitioners on how different courts in Louisiana are handling these issues. We will discuss best practices in both state and immigration court and provide tips and tricks for handling these matters. Attorneys who are interested in taking on a matter pro bono, will have the opportunity to be matched with a case from the New Orleans Pro Bono Project after the CLE. As space is limited, please register in advance. If you have any questions or concerns, please contact Gasparian Immigration.